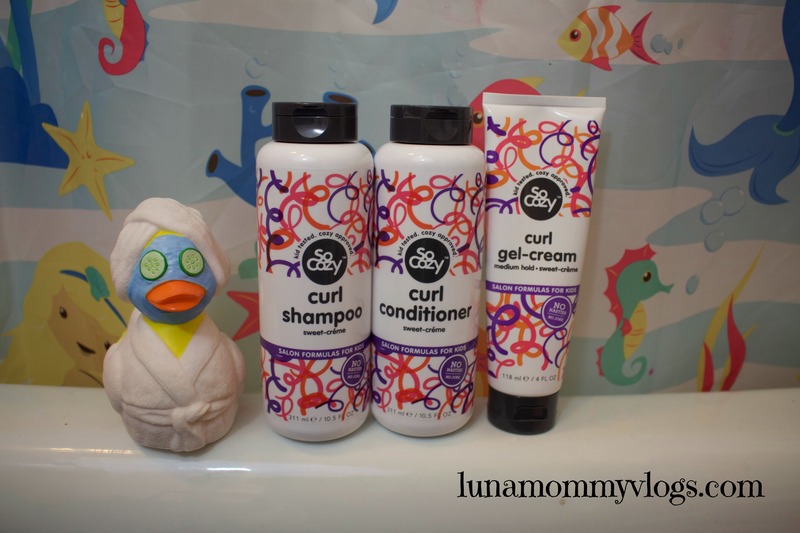 You are here: Home › Reviews › Kids HairCare Routine FEAT SO COZY! 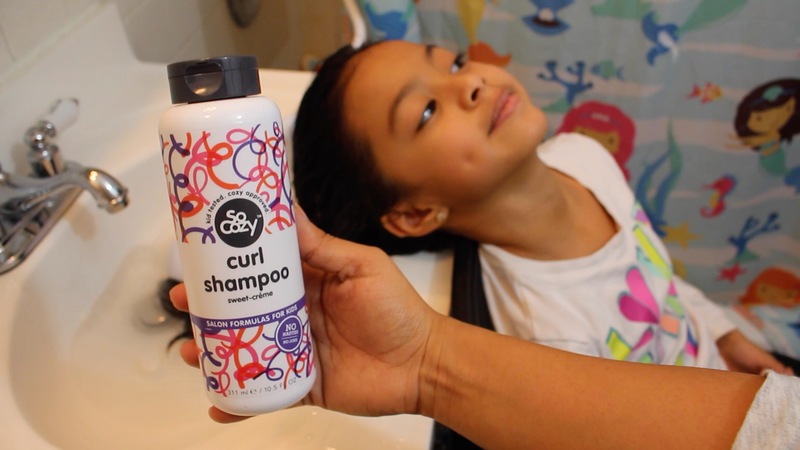 Kids HairCare Routine FEAT SO COZY! 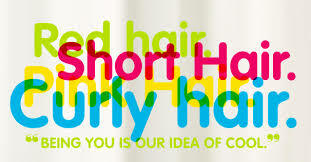 We have been trying out a new haircare routine for the girls for a couple of week now, and have been loving it. We come from Latina roots and my girls have curly/wavy hair. This SO COZY three step routine helps us tame their crazy frizzy hair and makes styling a breeze. 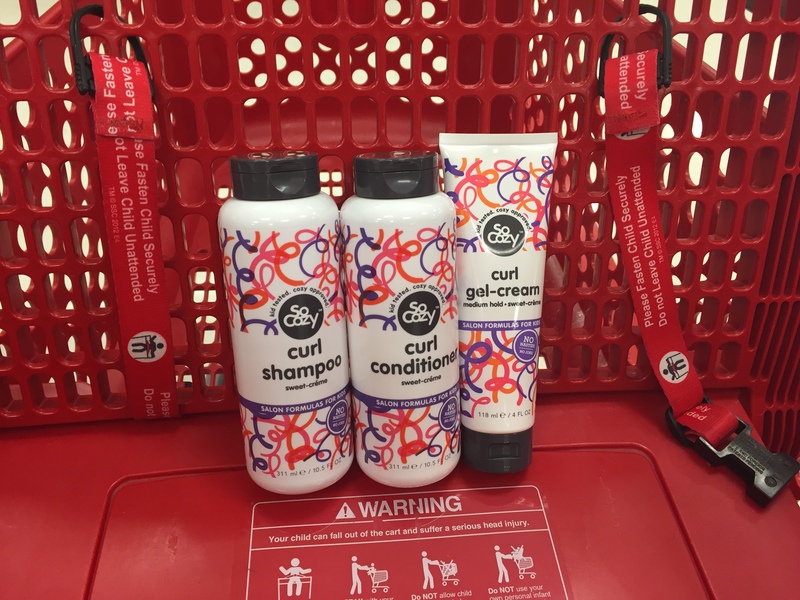 Target conviently carries all the SO COZY haircare lines, I was happy to see all the products at the store since I am not a huge fan of online shopping. Target also had a gift card deal when buying the brand. AWESOME! 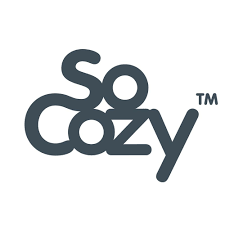 SO COZY is all natural brand, it is paraben,sulfate,phthalates,gluten free and the list goes on and on. 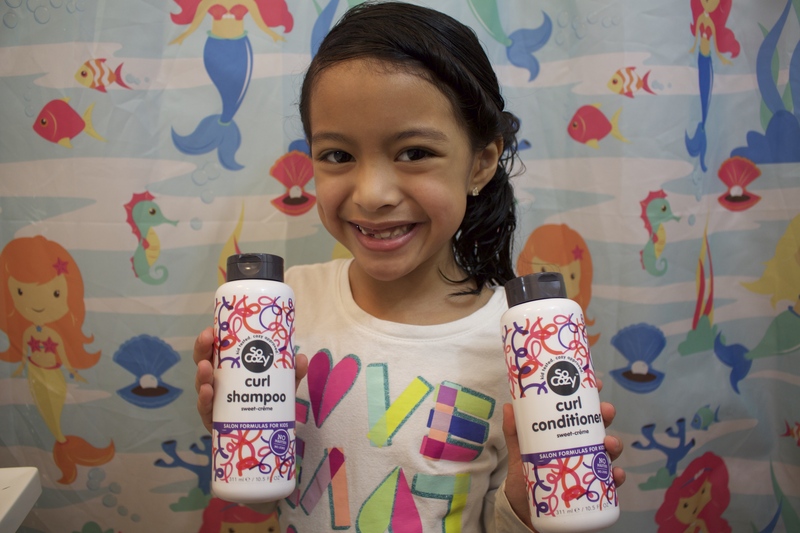 It is seriously safe for kids and is made with some great Key Ingredients to help tame those curls. I start of my rinsing Kayla’s hair and strip any product or residue she might have from styling products. I use the So Cozy Shampoo and lather it up in her hair concentrating on the root of her hair, this helps wash her hair better. The Shampoo texture is thin and smells really nice. After Shampooing and rinsing her hair till the bubbles are all out, I go in with the SO Cozy Conditioner and apply it on the end of her hair.I let it sit in her hair for about 5 minutes and I then rinse it out. The conditioner is creamy and thick. It smells like coconut cream. Then I move on to my favorite part of her hair care routine, styling her hair. 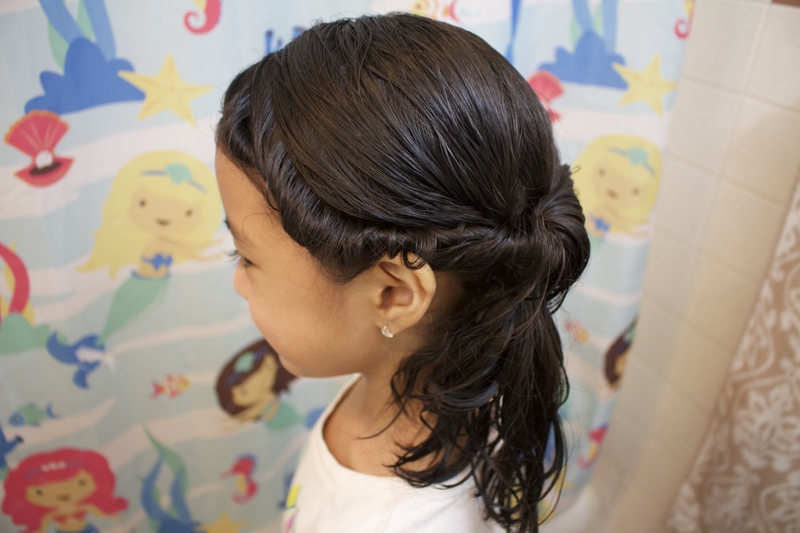 I use the Curl Gel-Cream and apply a small amount all over her hair to help tame it and keep the frizz away. After all these steps I brush out her hair and since using this routine doing her hair has become so much easier for me. There you go this is the end results of her HairCare Routine using the SO COZY Curl Products. This HairStyle is an easy side twist ponytail. If you want to see how I created it check out my Youtube Video down below.